If you’re looking to see a predatory cat out in the wild, then you’ve got one place to go. The lowland rainforest of Jeypore-Dehing, in the Assam province of India, has the most wild cats ever spotted in one location. There are an incredible seven different cat species to be found in the area’s 354 square mile range, and more might be on the way, according to study head and wildlife biologist Kashmira Kakati. It’s like the Caboodle Ranch, but for giant cats rather than simple housecats. 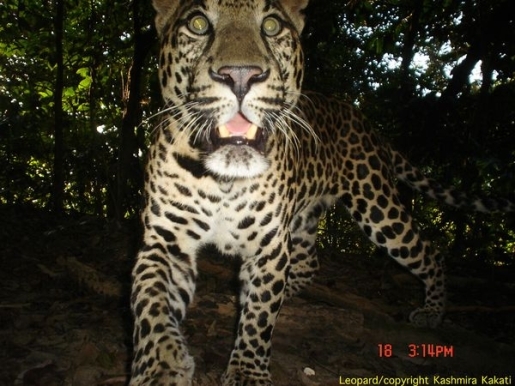 Using a set of 30 digital camera traps, Kakati captured the seven cats and a number of other rare jungle animals during the study’s two-year run. The most interesting finds, though, were the big cats. The rare clouded leopard made an appearance, as well as an incredibly rare Chinese wildcat. She believes that other cat species are migrating to Jeypore-Dehing to escape hunters and poachers in surrounding areas.